Are Your Trading Strategies Out Of Date? In a recent interview, Daryl Guppy (CNBC’s Chart Man) shared with me how he sees market trading conditions having changed in 2009. 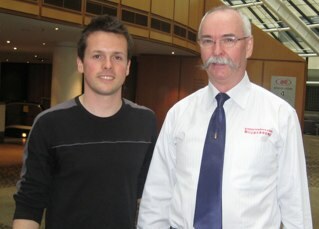 He also identified the importance of tailoring your trading approach to remain one step ahead of these changes. The fact is, if you’re using the same system you were using in 2007 or even 2008, your results will be marginal at best. There have been significant changes in the characteristics of the market. For example, the market is much more volatile than ever before! Historically if the Dow were to move 3%, it’d be front page news, today these volatility wipes are all too common. So how can you trade this volatility to your advantage? To combat these changes, Daryl recently developed the trend volatility line (TVL), an advanced application of the Guppy Multiple Moving Average (GMMA) indicator. It has been shown that these methods deliver superior trade management while overcoming the limitations of stop loss methods based on price volatility – thereby avoiding false exits from profitable trades. Perfectly tailored to intra-day, end-of-day and scalping methods, the TVL works for position trades in stocks, derivates, futures, and FX. Here’s how to update your trading methods! 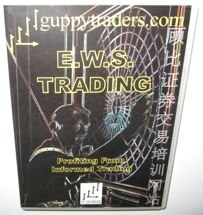 Daryl has recently released a couple of DVDs to get you up to speed with what’s working now – trading methods for the current 2009/2010 trading conditions. In this DVD Daryl explains five chart patterns you must know that suggest informed trading is happening and how you can tag along for the ride. This is chart analysis at its best! Grab both DVDs for the discounted price of $190AUD (approx $175USD) Click here to order now. Order now, and you’ll also receive 2 bonus copies of Daryl’s most recent newsletters “Tutorials In Applied Technical Analysis”. Click here to order now. 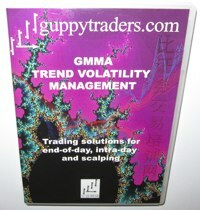 I highly recommend these DVDs and consider them required viewing by all traders. Ps. Have you watched my Daryl Guppy Interview? Click here to see it now. Please, I would like to be trading news, can you furnish me all it entails to go about this. David I was unable to dowload this interview, not sure if that was intentional on your part. could you tell me if daryls dvd s gmma and ews trading is a how to do or is it adownload indicator. is it a complete method of trading fx or a add on. Abioye: Please re-phrase your question I’m not 100% clear on what you’re asking. Don: Please try again, it appears to be working at my end. Enrico: The DVDs contain the entry and exit rules that Daryl is currently trading the market with. These DVDs are not a complete stand alone trading system… I always suggest doing your own testing before trading.